Are you tired of eating the same meals over and over again? Do you need a change in your diet or would it be convenient to have your food delivered to work or home? 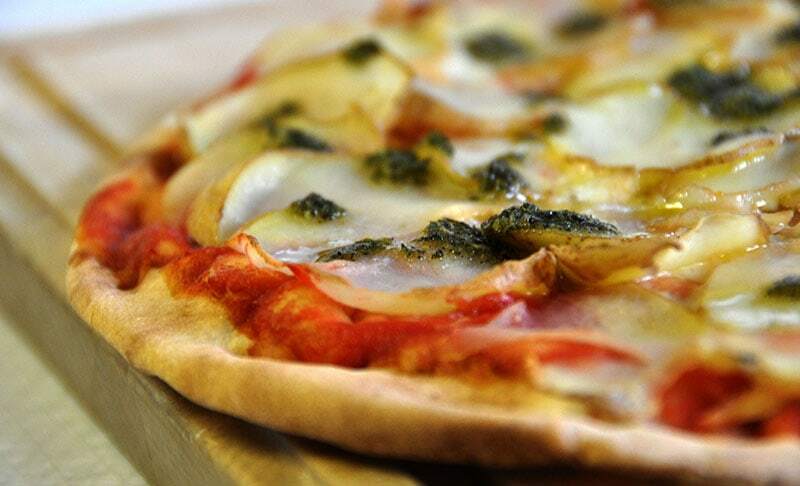 Take a look at 3 of the best food delivery options in Perth, that all have easy to use apps! This app is very simple to use. Firstly enter your suburb and you will be provided with a range of food outlets to choose from. From Thai, Indian, wood fired pizza, Italian, kebabs and a range of vegetarian options, there is something to suit every palette. There are reviews for each food outlet so you can get an idea of what meals are most popular. Once you have decided on what you would like to eat and drink, you can visit the check out and confirm you have ordered correctly. A lot of the outlets offer a discount for first time orders which if fantastic, and it’s from here that you decide on a delivery time and your suburb. Once confirmed, you will click place order, and you can connect with Facebook, or create a new user email and password, for ease of access and ordering in future. Once you have paid for your items, all you have to do is sit back and wait for your delicious meal to arrive. 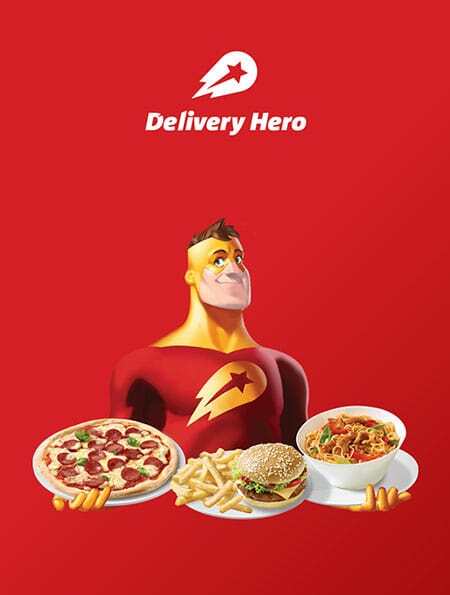 Once you open the Delivery Hero app, you will be prompted to enter your address or let the app auto locate you (ensure you have location services enabled). From here you will see a list of food outlets available for delivery. You can choose to sort them based on filter, including pay online/voucher, pickup available or deals. You can also ‘hero sort’ them by their rating, which outlet is newest and minimum order available. A few of the outlets do have a minimum order required such as $25.00, so perhaps get yourself and a few friends who would like to order from the same place. From here you can pre order any meals you would like, and the outlet will inform you of what hours it is open and available for delivery. From here you choose what food and drink you would like to purchase, and then pay for your delivery, choose a time and wait for your meal to arrive. 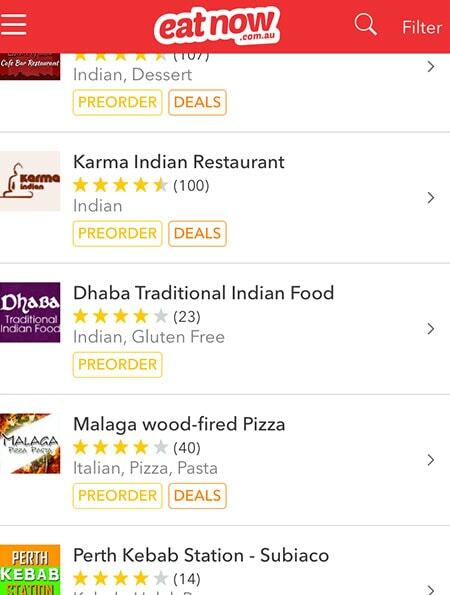 This app is great because it allows you to recommend your favourite restaurant if it doesn’t currently deliver. Another fantastic delivery app that provides SMS confirmation and is also free to use. There are over 5,500 food outlets available Australia wide and they have the best price guaranteed. There are always great specials available, including discounts off your first order and 5th order free, although these discounts vary from business to business. 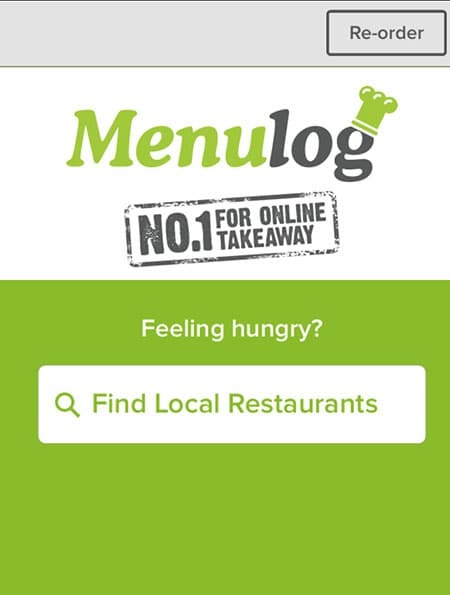 Menulog allows you to refine your search by choosing either a restaurant or a dish, a cuisine type, including pizza, Thai, Indian, Chinese, Italian, Halal, kebabs, pasta, Taiwanese, vegan and vegetarian. You can choose the distance, specials and specific payment methods. You can also search opening times to find out more about your desired food outlet. Each of these apps also have a website if you prefer to use a laptop or desktop computer. Do you want to know about the coolest cafes in Perth? Take a look at our post, in addition to where you can find the Best Steakhouses in Perth. To see 5 of the best restaurants in Perth, take a look at our informative Top 5 New Restaurants in Perth blog.